Having a website does not automatically mean that you are going to get hundreds of visitors straight off, your site needs to build presence and credibility, as well as inbound links from reputable sources. You need to provide your visitors, and the search engines, quality information relating to your products and services that will entice people to want to share with others. Whatever your business or service, there is a fair chance that you can create some helpful articles on how to do certain things with it that will help your potential purchaser to get the most out of it. For instance, say you had a plumbing business and one of the services you provided was installing hot water services. You could create articles on ways to save money by optimising hot water usage, how to do basic tasks like changing the thermostat to a lower temperature and even things like what to do in an emergency situation in regards to the hot water service. All these things will help your visitors with information related to their systems, and also help to show you as an expert in your field. Social media has fast become a major player in the world of customer relations and lead generation. Having a solid Social Media presence not only allows you to communicate directly with potential customers, but also provides inbound links to your website that search engines look on favourably. You really should start out with one Social Media platform and optimise your presence on it before you start expanding to others. By far the most recommended Social Media site is Facebook, with the highest amount of users and engagement of them all at present. 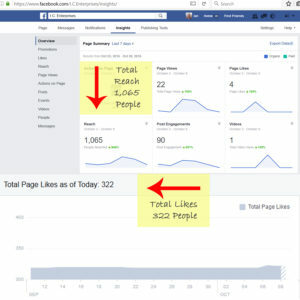 With Facebook, the key is to use the business page function, get it set up and looking good, share it wherever you can and then post to it on a regular basis with helpful tips, tricks and visual guides. Other sites like Google+, Pinterest and Twitter are also useful depending on your target market, and should be explored when you are ready to expand. Social Media is not about the selling, but rather the communication so use it to create discussions and always try to respond to comments left by others as soon as possible. Video marketing and promotion is a fantastic way to get your products and services out there. As with article marketing, video can be used to help or inform people of ways to get more from the products or services you offer, and can also be used to showcase parts of your business visually. Putting videos on YouTube and Facebook also help to get people to your site and the search engines love them. A good video doesn’t have to be a high cost production, in fact some of the best business videos I have seen have been low cost ones and use the content to make the point. The more you write articles, the better you get at them, which gives you the opportunity to create more original articles that can be used on article directories and networks. The way this works is fairly simple. You create and original article about the use or some tips that is relevant to your business, you create an “author box” with your website link and some details about your business, and then you sign up to some article directories and submit your article. Once the article is on the directory, it links back to your site and people that see it and like it can use it providing they keep the author box intact. There are a lot of blogs out there for pretty much everything, and there are probably some related to your business. Search on google for any blogs that are and if possible post comments on articles already on there, or ask the blog owner if you can create some guest posts for the blog. Most blog owners will be happy to oblige if you show you can create articles that suit their site. Above all else, when it comes to getting people to your website you must take action. The best way to do this is to build your content and share your knowledge with others. 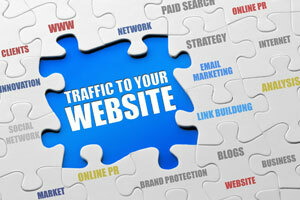 It is both rewarding and exactly what the search engines are looking for. Remember, the more you put yourself out there, the more people will trust you and want to see what you have on offer. Great points here Ian! I’ll be checking you out in the future…just to make sure you stay on track! I also wish people would respond via website comments. The comments you’ve been making on FB have been killa – and also would make you the expert you are. Thank you for a very good and detailed article, Ian. It’s very clear to be active and involved continually with one’s social media presence. Important to carry on no matter if it seems no one is paying attention. What you’ve shared will bring pay back on time with lots of action and consistency. I hadn’t thought much about writing articles more offsite. This has me brainstorming. Thank you!